The 2018 Acura RDX is a compact luxury crossover SUV. This vehicle is popular among people looking for a fun, reliable vehicle with plenty of high-tech features. However, as it can sometimes be challenging to decide exactly which features you want, and which features fit in your price range, we have built a breakdown of the 2018 Acura RDX packages below. Check out the information below to give you the specific breakdown of what is in each package and which is best for you. Below we will look at the AcuraWatch Plus Package, the Technology Package and the Advance Package. This package was designed to help you improve your awareness and help you avoid potential collisions. The AcuraWatch Plus Package is full of safety features that look out for you. Including this package means your vehicle starts at $37,100*. The features that you get with this package are the Collision Mitigation Braking System, Adaptive Cruise Control, Lane Keeping Assist and a Color Multi-Information Display. The AcuraWatch Package can make your driving experience better by giving you safety systems that can really help you. One of these systems, the Collision Mitigation Braking System, helps alert you of obstacles ahead, and it can brake for you if it determines a crash may happen and you aren’t responding. This package can also give you relevant driving information. Are you someone who wants to keep track driving info in real time? The Color Multi-Information Display helps you do just that. This system lets you access stats like average MPG, tire pressure stats and turn-by-turn directions all with your steering wheel controls. This package is the perfect one to keep you connected with your life. You will get everything from sophisticated audio and navigation to integrated smartphone capability. This Technology Package means your vehicle starts at $39,500*. The Technology Package includes features like the ELS Studio Premium Audio System, Intuitive Navigation, Leather Sport Seats, an On Demand Multi-Use Display and much more. The On Demand Multi-Use Display is a 7-inch color touch screen. This display combines all your controls into one intuitive system. You can also access these controls with the Audio Interface, so you can keep your hands on the wheel. This feature, and other features like the AcuraLink Real-Time Traffic and Traffic Rerouting make your drive an easier and better experience. The Advance Package means you are all in for the technology, comfort and luxury. This package requires you to have the Technology and AcuraWatch Plus packages, so the starting price is $42,500*. With the Advance Package, you get features like 18-inch Machine Finish Alloy Wheels, Heated & Ventilated Front Seats, Remote Engine Start, Parking Sensors and more. This package is a step up in luxury with convenient features like the Heated and Ventilated Seats as well as the Remote Engine Start that gives you more control. 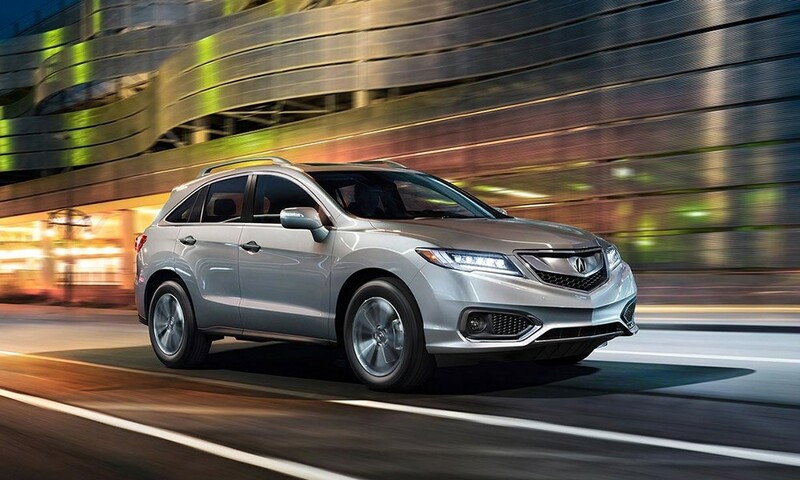 This package also steps up the Acura’s appearance with the 18-inch Machine Finish Alloy Wheels that give this vehicle a sporty appearance and a distinct style. Other advanced features include Rain-Sensing Windshield Wipers, Auto-Dimming Side Mirrors and Fog Lights. Looking to upgrade to a 2018 Acura RDX? You will want to take your pick of the packages above, so you get the vehicle that is perfect for you.